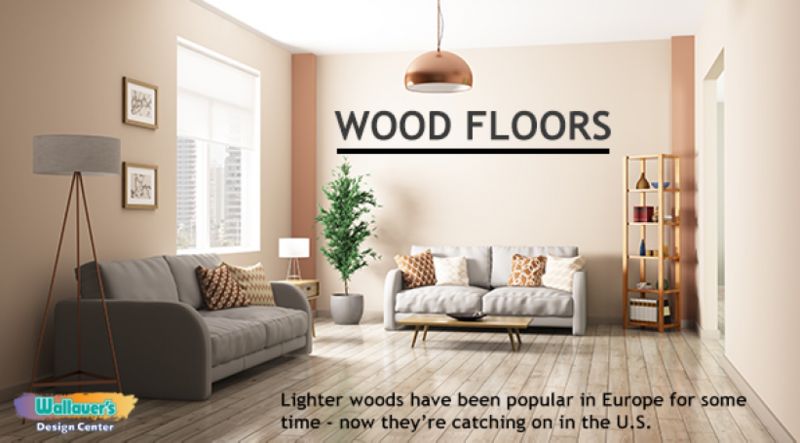 If you’ve visited Europe over the past decade, you’ve probably noticed the proliferation of light wood tones in commercial and residential settings. Lighter woods have been popular in Europe for some time—not just in Scandinavia but also in Great Britain and other Western European countries, whereas darker woods have prevailed here at home. Right now, though, the U.S. hardwood flooring market is also going lighter. 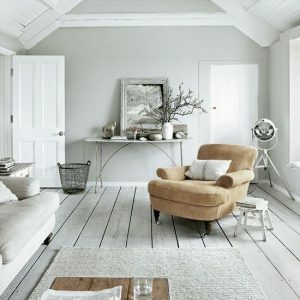 Part of the reason has to do with the globalization of social media—Pinterest UK, for example, is full of light-wood furnishings—as well as continued interest in European styling. But it also has something to do with our own decorating preferences here at home. Contemporary decor and the Midcentury Modern look, all the rage in the States now, are both dominated by light- to mid-toned woods. In addition to contemporary decors, lighter woods work well in cottage, country chic, farmhouse, coastal, traditional, transitional, and even industrial stylings. 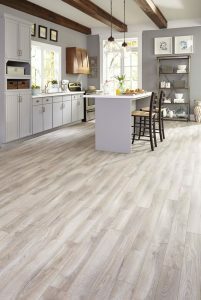 Among the light woods that are popular are white oak, maple, bamboo, and a range of light-gray hardwoods, from lightly weathered oaks to silvery grays. 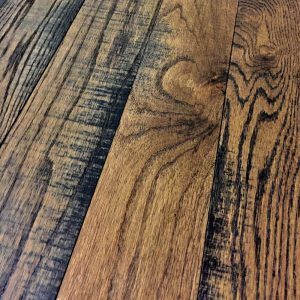 As with their darker counterparts, light hardwoods are increasingly appearing in wide-plank formats. Light woods and wide planks just seem to go together, and they both work to make a room look larger and brighter. Wide planks are a particularly good choice for gray and whitewashed hardwoods because the planks provide a larger surface area in which to showcase a wood’s unique characteristics. 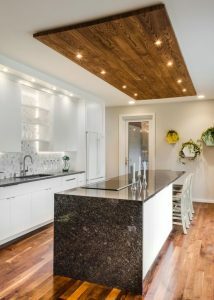 Lighter woods are not only gaining ground on floors, but they’re also showing up on ceilings. It’s becoming increasingly popular to install on the ceiling the same type of planks installed on the floor, which creates a finished appearance and helps define the space. Just imagine a beautiful kitchen—maybe with sparkling white cabinets, a gray concrete countertop, and stainless appliances—highlighted by weathered gray flooring below and the same planks above. Expect to see more of this look as we head into 2018.